A cracklingly funny and poignant debut novel about the ways we love, even when we're not at our best. Since her husband died eight months ago, Stacey's been a certified mess - a poet who can't write anymore, a good mother who feels like she's failing her kids. She's been trying to redefine herself, to find new boundaries. Tommy has no respect for boundaries. A surprisingly well-read A-list Hollywood star, Tommy's fallen in love with Stacey's novel-in-verse, a feminist reimagining of Frankenstein, no less. His passion for the book, and eventually its author, will set their lives on a collision course. They'll make a movie, make each other crazy, and make love - but only in secret. As Stacey travels between her humdrum life in the suburbs of Omaha and the glamorous but fleeting escape Tommy offers, what begins as a distracting affair starts to pick up weight. It's a weight that unbalances Stacey's already unsteady life but offers new depth to Tommy's. About desire, love, grief, parenthood, sexual politics, and gender, Monsters: A Love Story is a witty portrait of a relationship gone off the rails and two people who are made for each other - even if they're not so sure they see it that way. I hated this book and I hated the characters. Long drawn out love? Story with the f word and the word a- hole every other line. Seriously so boring. I'm surprised this even got published. Skip it! Where are the redeeming qualities? I can't say I hated this book but I really hated it's characters. They were all self-absorbed jerks with little to no redeeming qualities. I realize this book is about imperfect people falling in love but I saw nothing to make these characters worth my time. enjoyable, no brainer, predictable. probably a good beach read. no problem stopping to make dinner or visiting. very strange title. The main character was so pretentious - I didn't like her at all. She complained constantly about people who eat meat and sugar because it's "awful for you" but she was basically an alcoholic. She never was honest with anyone in the book & pretty much just said, "f*** you!" to anyone who disagreed with her. She was really the worst & the ending was so unrealistic. 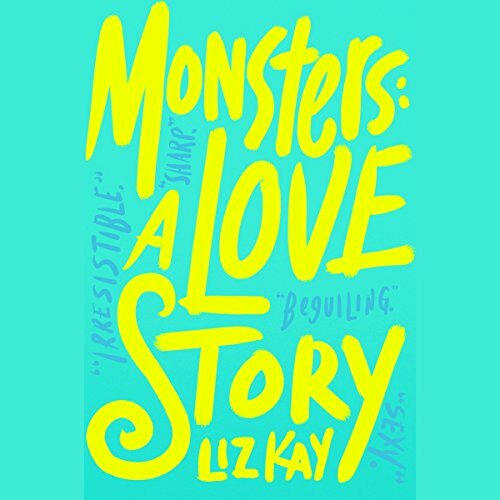 Would you listen to Monsters: A Love Story again? Why? Yes. I really liked the story. I was not expecting it to draw me in the way it did. What was one of the most memorable moments of Monsters: A Love Story? The collision of Stacey, Tommy and her boyfriend in Omaha. She seemed especially cruel in how dismissive she was toward him. She did a great job of capturing the characters. Sometimes when children's voices are narrated it's hard for me to not hear the child's voice, even in the adults. Allyson did a very good job of separating them.